Welcome to the blog of Ixion Model Railways Ltd. We have created this blog to make it easier to keep you updated on the progress of our model manufacturing and marketing projects. The GWR/BR 'Manor' Class 4-6-0 in British N scale (1:148). This loco sold out quickly, a second run was delivered, and then the tooling was sold. This loco is still available in its third production run, from Dapol Model Railways (and their dealers) in the United Kingdom. The South Australian Railways' "Coffee Pots" Nos 1 and 2 in On30 (1:48 O scale, running on HO scale 16.5mm gauge track). These models have sold out form Ixion, but at the time of writing (late October 2013) a handful remain available from EDM Models in the UK. The third model from Ixion was a limited run hand-built brass model of a standard 'H' Class Manning Wardle 0-4-0 saddle tank, modelled on the New South Wales Government Railways' loco number 1021. 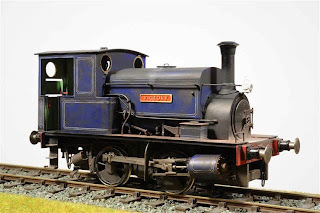 This model, in British 7mm/ft O Scale (1:43.5) was made in China and supplied in unlined black and lined blue liveries, with a small number of unpainted locos produced specially for Dragon Models of Wales. The photo below shows Ixion director Chris Klein's own loco, which he has weathered and fitted with a brass nameplate (not supplied). This model has sold out. Ixion's fourth loco was the 7mm O scale Hudswell Clarke 0-6-0ST. This model of a popular standard contractor's loco was the first mass-produced finescale injection-moulded ready-to-run steam loco released to the UK and NSW 7mm markets. Enthusiastically received, the loco won "Steam Locomotive of the Year" in the Model Rail magazine, RMweb and MREmag 2012 Model of the Year awards. It was produced in the three liveries shown below. The loco came with a range of etched brass name and number plates plus Hudswell Clarke maker's plates. Also supplied was a set of injection moulded loco tools which have proven very popular, and are available separately from Ixion stockists. 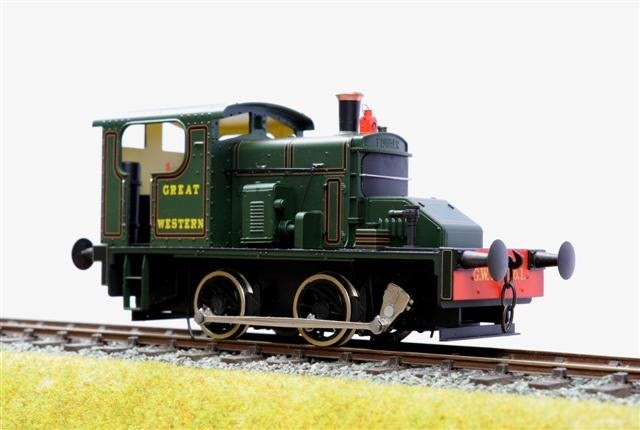 Ixion's fifth model is the 7mm scale Fowler 0-4-0 Diesel Mechanical, representing the Great Western Railway's sole example, which they designated No.1. This loco is due in late November, 2013.